One evening. Four films. Four panel discussions. 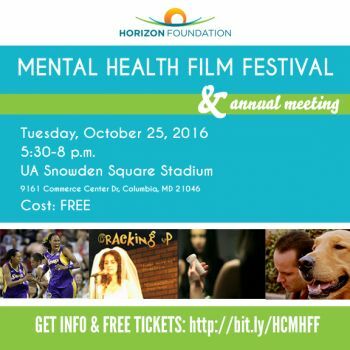 On October 25, the Horizon Foundation is hosting its first-ever Mental Health Film Festival and Annual Meeting — an event to build awareness and compassion for members of our community living with and impacted by mental health conditions. The films showcase a variety of themes and topics, including the personal stories of families and teens around suicide, the experience of a former WNBA star who has become a vocal mental health advocate, a program that uses stand-up comedy as a form of therapy, and the stories of the struggles and triumphs of a war veteran, domestic violence survivor, and hurricane survivor. Each film will be followed by a discussion led by local mental health experts and advocates. Dr. Harsh K. Trivedi, president and CEO of Sheppard Pratt Health System, will be speaking on the panel following the film "Inside Teen Suicide," along with representatives from the Howard County Public School System, Grassroots Crisis Intervention Center and NAMI Howard County. State Senator Guy Guzzone, Horizon Foundation Chair Glenn Falcao, and Horizon Foundation CEO Nikki Highsmith Vernick will kick off the event with opening remarks. The film festival will take place Tuesday, October 25, from 5:30 – 8 p.m. at the UA Snowden Square Stadium theater (9161 Commerce Center Drive, Columbia, MD 21046). Tickets are FREE but must be reserved online by 11:30 p.m. October 17 here. For more information on the films and full list of speakers, click here. 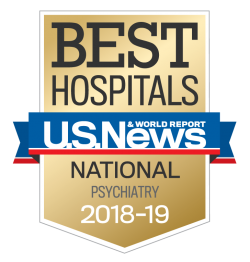 The Horizon Foundation is an independent philanthropy dedicated to improving the health and wellness of people living or working in Howard County, Maryland. We invest in strategic grants and initiatives to achieve the greatest impact. We also build partnerships and advocate for public policy changes that advance our mission. For more information, visit www.thehorizonfoundation.org.